Sigma announced that it would be providing lenses for mirrorless cameras, and the 19mm ƒ/2.8 DN ("Digital Neo") is the company's second lens to do so. The lens is offered in the micro four-thirds mount offered by Olympus and Panasonic, and the Sony E-mount for the NEX series of camera. On a micro four-thirds camera body, the lens will offer an equivalent field of view of 38mm; on a Sony NEX camera body, the lens offers an equivalent field of view of just over 28mm (both of these figures are in the 35mm film equivalent). The lens ships with a round lens hood, takes 46mm filters, and is available now for around $200. The lens provides sharp images, more so on the micro four-thirds camera than on the Sony NEX, owing to the fact that the micro four-thirds sensor does not "see" the corners of the lens. Mounted on the Panasonic GX-1 m4/3 camera, the lens produces excellently sharp images even wide open at ƒ/2.8. There's just a hint of corner softness at ƒ/2.8, but even this is all but eliminated by just stopping down to ƒ/4. Stopping down to ƒ/5.6 technically provides more sharpness, but you'd only notice it looking very closely at a test chart. Diffraction limiting sets in at ƒ/8, but you won't notice any impact on sharpness until ƒ/16, where it is still very sharp across the frame. Fully stopped-down at ƒ/22, there is some impact on sharpness, but it's still very good. Mounted on the Sony NEX-7, the lens follows the same pattern of sharpness - very good at ƒ/2.8, excellent at ƒ/4 to ƒ/8, and softer at ƒ/16 and ƒ/22. In this case however we note softer corners than seen on the GX-1, owing to the larger sensor being viewed by the lens. Chromatic aberration is notable with the lens attached to both camera bodies: on both bodies, it's viewed in the corners, in areas of high contrast. In images shot with the Panasonic GX-1, it appears as magenta-green fringing, and in images shot with the Sony NEX-7, it appears as magenta fringing. It gets marginally better with either camera if you stop down, but only slightly. With the Sigma 19mm ƒ/2.8 mounted on the Panasonic GX-1, corner shading isn't really an issue. However when the lens is mounted on the Sony NEX-7, there is always at least a slight amount of corner shading: at ƒ/2.8, the corners are almost a half-stop darker than the center; stopped down, the corners are 1/3 EV darker than the center. Results for distortion testing with the Sigma 19mm ƒ/2.8 DN are the same with both cameras: there is some notable barrel distortion in the corners of the images (around +0.5%). The Sigma 19mm ƒ/2.8 DN uses an in-lens motor for focus and is very fast to do so: focusing from infinity to close-focus took well less than one second. 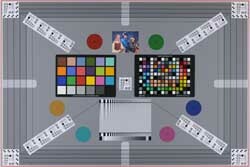 There is no extension of the lens during focus operations and attached filters will not rotate. This is not a lens with any significant macro capability: it only offers 0.14x magnification, with a minimum close-focusing distance of just under 8 inches (20cm). The Sigma 19mm ƒ/2.8 EX DN is a fairly pedestrian lens, small and light with a matte black finish. The lens is made of primarily plastic components, weighing only 140 grams (4.9oz), with plastic 46mm filter threads and a metal lens mount. The lens has only one control on it, the manual focus ring. There is no depth-of-field scale, distance scale or infrared index. The focusing ring is about 3/4'' wide, with deep, easy-to-grip plastic ribs. There are no stops, hard or otherwise, at the close-focusing and infinity end of the lens. The included lens hood is plastic, attaches via a bayonet mount, and can be reversed onto the lens for storage. The interior of the hood is ribbed, and when attached to the lens it adds about 3/4'' to the overall length. For the Sony users, the Sigma 19mm ƒ/2.8 offers a slightly longer alternative to the Sony 16mm ƒ/2.8. In this case however the Sigma also offers a sharper alternative, with the 19mm ƒ/2.8 offering significantly sharper results throughout the same apertures. Other test results are also better: CA is better handled, there is slightly less corner shading, and distortion is a bit less severe (naturally barrel-distorted rather than pincushion). At almost double the price of the Sigma 19mm, the Panasonic 20mm offers slightly sharper results with less CA. There is somewhat significant corner shading, but almost zero distortion. Olympus offers a wider alternative to the Sigma, which is about on the same level optically: however, we would give a nod to the Sigma for its better tolerance to chromatic aberration, and slightly sharper performance. In this case, the Olympus makes for a slightly smaller. There are a surprising number of alternatives in this category - wide primes for mirrorless cameras - so Sigma's offering comes at an interesting time. It holds its own in our tests, providing a sharp image even wide open at ƒ/2.8, with only slightly notable chromatic aberration in the corners. It's not a case of Sigma finding a niche other manufacturers haven't exploited, however, Sigma does undercut all the current manufacturers with a lower price point. If you haven't got a wide angle prime for your micro four-thirds mirrorless camera, or your Sony NEX camera, then you may want to consider the Sigma 19mm ƒ/2.8 DN. I bought this as a 28mm equivalent lens for my A6000. Performance is pretty much in line with the review though in my own tests it does not reach the admittedly dizzy heights of its 60mm brother, with the edges staying a notch below the centre. Manual focus feel is not the best; rubber would be preferable to the shiny metal surface and would also give the lens a bit of heft. But seriously, at this price there is nothing to really criticize: it even manages some decent bokeh!. Please Sigma: more E and FE mount lenses please? The Sigma 19mm is not so much better as my 12-50mm on the OM-D, but its smaller and better for low light situations. I purchased this lens to use with the Sony NEX5-N about 7 months ago. The lens has been working nicely and to our satisfaction for a lens of this price range. But a few weeks ago the camera started to not recognize the lens (except intermittently), even after cleaning the contacts on camera and lens with alcohol. (We have had no accidents, drops, bangs, extreme climate conditions...) We tested the camera with Sony lenses (without problems) and then took the Sigma lens to the authorized Sigma dealer/repair center in Chile who determined that the lens has a firmware problem and needs a firmware update. (1) Have the lens firmware update made under warranty - which requires that the lens be sent out of the country - at our expense -- for the equivalent of over $300 -- more than the price of a new lens! (2) Have the firmware update made in Chile, but at our expense. 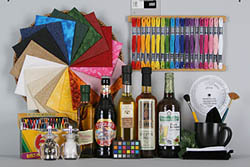 There may be compatibility issues with third party cameras, such as the Sony NEX-5N. Or simply, unreliable construction / firmware. We have not used the camera/lens under any kind of condition where you might expect to cause problems. The Sigma worldwide warranty is completely inadequate in parts of the world. I do not recommend purchase of this lens until the above issues are resolved. Small and light, easy to add to camera bag. Sharp and contrasty. Inexpensive, now. Not really a pancake, no MF button or depth scales. Now that the metal-body version is out, this lens has gotten much less expensive. I got it on a two-for-$200 deal. A nice discrete little standard lens for the NEX 7 - would be nice if they broadened out the range to something a bit wider as well. 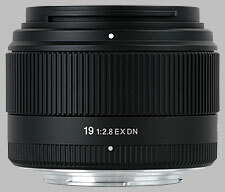 The Sigma 19 mm EX DN is a lens that is comfortable in the hand, solidly finished and that focuses quickly and quietly. This lens has remarkably little trouble with ghosting, even if you do not use the supplied lens hood. For a micro-43 lens, the Sigma 19 mm EX DN is not very compact, but this is precisely an advantage for those who wish to focus manually.